When I was a little girl, my mom, dad, uncle and aunt used to take me to the horse track at the Meadowlands in NJ to watch the trotters. I remember my mother telling me, “When you were younger and we took you to the track you liked to pick the tickets up off of the ground and talk to people”. I guess nothing much has changed in the talking department since I still have diarrhea of the mouth most of the time. The only thing that HAS changed is that instead of picking tickets up off the ground, I’m tossing losing tickets in the trash! Ha! 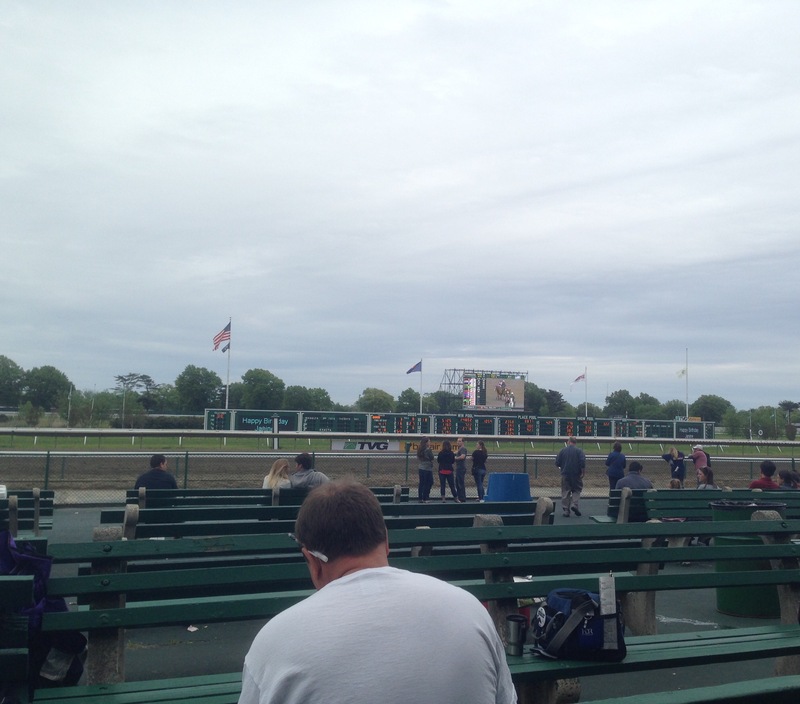 When I started dating my husband in 2003 he brought me to Monmouth Park racetrack. I had never been there before and as soon as I got to the place I was in awe. The excitement, the beautiful horses, the smell of grilled food and beer, people placing bets, children petting horses and playing in the playground, people laughing, people screaming. I felt like I belonged there and knew that this wouldn’t be my last time going to a track that’s for sure! In 2005 we moved to Florida and I have to say that one of the biggest things that I miss from NJ is not being able to hop the train and be at Monmouth Park in 30 minutes or so. Although they have tracks down here like Gulfstream Park and Tampa Bay Downs that we go to once and a while, both are far away from our house. Gulfstream Park is a beautiful track and we try to go at least once a year. It has casinos, shopping, restaurants and we usually book a hotel right across the street and stay for a few days. We booked a trip to Gulfstream for New Years Eve this year that we are excited about! It’s beautiful there during the holiday season too because they have lots of lights up and a beautiful Christmas tree in the paddock area. It’s a must see if you are in the Fort Lauderdale area. Tampa Bay Downs is a smaller track with less entertainment but still worth the trip to visit if you get the chance. In the future, Ron and I would like to visit a few tracks around the United States like Del Mar in Southern California and Keeneland in Lexington, Kentucky, to name a few. Horse racing is something that we enjoy doing TOGETHER. We don’t bet much money and we sure as hell do not bet our mortgage but we love the sport, the horses and enjoy the excitement !